As it is rightly said, you should always go with the flow and imbibe the changes that come along in the path!! That’s what IISM believes in as well! IISM’s SMAT will be an online test. The students will have to appear for the test at a selected test-center in their region which basically implies that this year students cannot appear for the test from their den(home). Based on the updated pattern for the test, the structure is going to be different as compared to the last year. This year, there’s an increase in the total number of questions-making it 120 for the Master & Post Graduation Courses (MSM/ PGPS & WM) and 90 for the Bachelor course (BSM). According to the revised test structure, the visual reasoning section is removed. And more weight age is allocated to reasoning questions as compared to calculation based questions. Even though the test focuses on Sports Awareness, it’s not just about Records or Sports Celebrities but about every aspect of Sports. And hence, students are expected to get acquainted with the sports industry as a whole. The Test has various aspects as discussed and for each one of them, there are tips mentioned below that would help students. Be affluent with tricks that will help in solving the number based questions easily. Know the formulas well to avoid spending time on word-based problems. As the name suggests, verbal analysis would comprise questions that would judge your reading and reasoning abilities. So be sure you are well aware. The questions are framed such that assess student’s skills in understanding the concept of framed words and comprehension skills. This test would also want them to think constructively and communicate in the language. The test will assess student’s logical thinking ability based on how they gather required information from data pool. It is essential to know how to apply data and understand it. 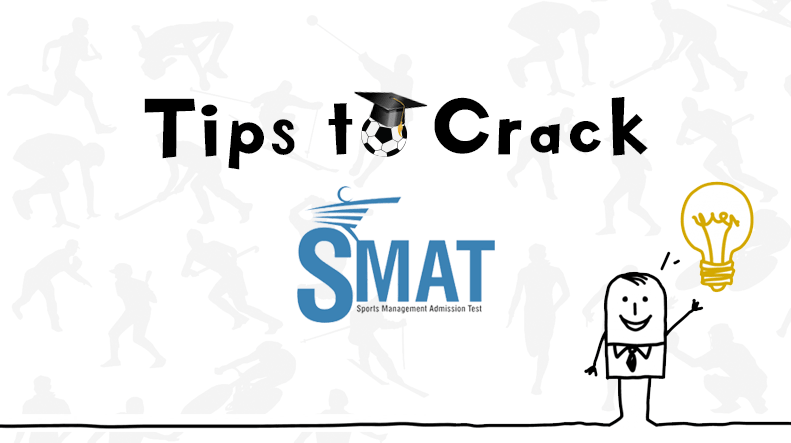 These are some tips that will definitely help in preparing for the SMAT Test and come out with flying colours. Write below in the comments section and share your doubts. Wishing each and every student the Best! !